For use with HD30, HD45, HDS45, HD60, and HD75 Hot Dawg Heaters. 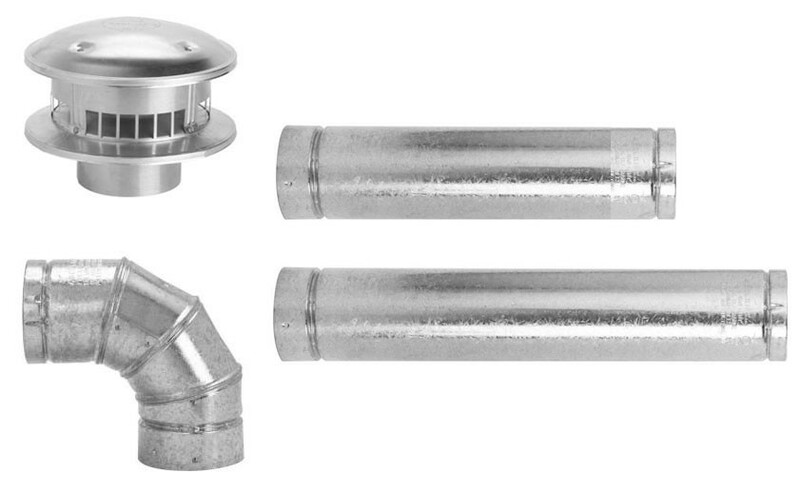 Manufactured by Selkirk, B-Vent pipe is manufacturer specific and will not work with other brands of B-Vent pipe. For horizontal venting only with a downward pitch. If you are ordering a model HDS75, HD100, or HD125 Hot Dawg Heater you will need to use 4" vent pipe.